Written by Jaston Williams, Joe Sears, and Ed Howard, Greater Tuna is about Texas’ third smallest town, where the Lion’s Club is too liberal and Patsy Cline never dies. 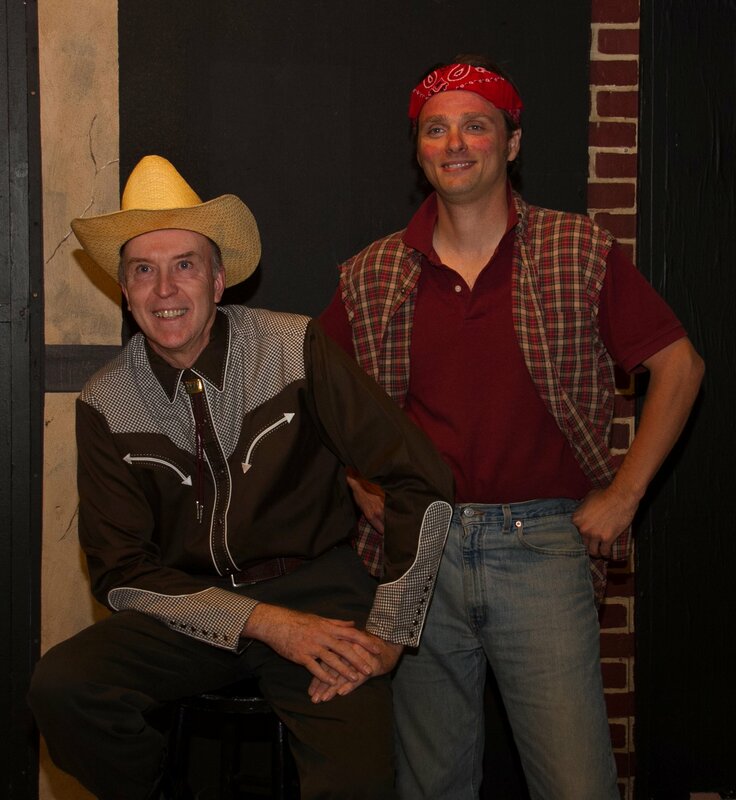 The eclectic band of over twenty citizens that make up this town are portrayed by only two performers, making this satire on life in rural America even more delightful as they depict all of the inhabitants of Tuna — men, women, children and animals. A New England Repertory Company production, Greater Tuna was directed by Mike Kiernan and stars Bruce Church and Joe LaGreca.